Beauty Without Cruelty® was founded in England in 1963 by the trustees of BWC Charitable Trust, an animal welfare organization. The goal of BWC was then, and remains now, to manufacture and distribute natural color cosmetics that are never tested on animals and contain no animal products. Along with Noel Gabriel, initial founder Kathleen Long, a dedicated, life-long animal activist, cosmetician and vegetarian, developed the first full line of cruelty-free color cosmetics, setting the standard that affected every major cosmetic company worldwide. 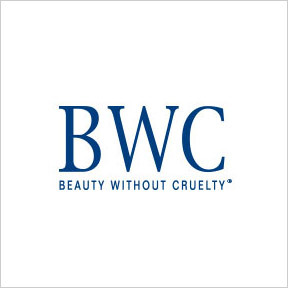 Introduced to the U.S. in 1989, Beauty Without Cruelty® (BWC) was already one of the most sought after cosmetic brands in Great Britain. Based on the principles of high quality, fair pricing, and environmental sensitivity, this well-respected line of cosmetic and skin care products is made with the finest natural ingredients and aroma-therapeutic essential oils. The entire 100% vegan line is paraben, phthalate, formaldehyde and synthetic fragrance free. BWC beauty products are fragranced with pure premium Oshadhi® Essential Oils. Organic ingredients are utilized whenever possible. BWC products are Leaping Bunny and Vegan® Society Certified. Daily Moisturizer Premium Aromatherapy: This rich, long lasting daily moisturizer provides continuous protection for normal to dry skin. Shea butter, plant emollients, botanicals, vitamin antioxidants, and essential oils nurture, protect and revitalize the skin, help maintain a youthful radiance, and promote a healthy complexion. Cruelty free, pH balanced, vegan formulation. Eye & Face Makeup Remover Creamy Extra Gentle: This fragrance-free eye and facial makeup remover contains gentle premium herbal extracts and rich emollients that remove all types of makeup without irritation. Ingredients include botanicals to cool and soothe the delicate eye area. Paraben and cruelty free, vegan formulation with 60% organic content. Vitamin C Renewal Cream with CoQ10 Premium Aromatherapy: This moisturizing cream provides antioxidants to rehydrate, repair, revitalize and protect the complexion. Ingredients include active vitamin C and CoQ10, green tea extract, antioxidant vitamins, and powerful humectants to moisturize, nurture, and pamper the skin, and enhance a youthful appearance. Cruelty free, vegan formulation with 31% organic content. Skin Renewal Lotion Premium Aromatherapy: This daily treatment for face, hands, and body helps to refine skin texture and improve moisture retainability. Ingredients include shea butter, essential oils, antioxidant vitamins, and green tea extract to help protect the skin from environmental factors, and support maximum skin renewal and the maintenance of youthful looking skin. Product includes 8% alpha hydroxy acid, which may increase sun sensitivity. This entry was posted in Home and tagged Beauty Without Cruelty, Daily Moisturizer Premium Aromatherapy, Eye & Face Makeup Remover Creamy Extra Gentle, Professional Supplement Center, Skin Renewal Lotion Premium Aromatherapy, Vitamin C Renewal Cream with CoQ10 Premium Aromatherapy, Vitamins and supplements, www.professionalsupplementcenter.com. Bookmark the permalink.